Will the Military Take Over the Desert National Wildlife Refuge? 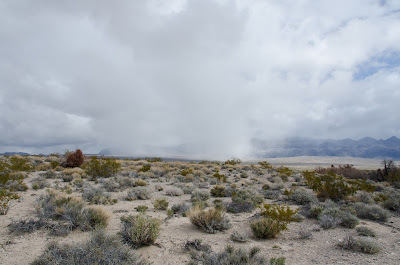 The Department of Defense (DOD) is poised to release details next month regarding its proposal to take over a significant portion of the Desert National Wildlife Refuge (DNWR), close public lands, and incorporate them into the Nellis Test and Training Range. A review of documents made public so far, however, suggests DOD may be inflating its need to close public lands and assume control of the wildlife refuge. The Nellis Test and Training Range already spans 4,608 square miles, and within those vast lands there probably are opportunities to accommodate DOD's training needs without significantly eroding public access or wildlife protection. The options that DOD has proposed so far, however, seem to ignore innovative management approaches and technological solutions that can limit the impact on our public lands. Does The Military Really Need More Desert Bombing Ranges? The Department of Defense's recent request to close off additional public lands in Nevada is simply unreasonable in light of the vast amount of land already available to the military for testing and training purposes. The military is preparing to ask Congress to expand two of its test and training ranges in Nevada by as much as 1,416 square miles, including portions of popular public lands outside of Las Vegas. 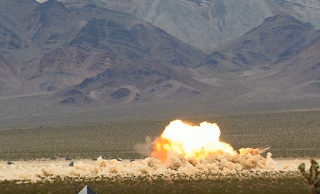 The Department of the Air Force is proposing to withdrawal an additional 301,507 acres (approximately 471 square miles) of public land to expand the already-massive Nevada Test and Training Range. The proposed withdraw will likely involve restricting public access and degrading important wildlife habitat, including lands in the Desert National Wildlife Refuge near Las Vegas, and also parcels in the upper Amargosa Valley north of Beatty, Nevada (see map below). This effort is separate from proposed legislation currently sitting in Congress that would withdrawal even more land from the Refuge.